Investing in yourself and in your business is paramount in this industry. A lot of people get this concept, but the same question inevitably comes up. “How do I come up with the extra money to invest in network marketing.” Now I want you to realise that you need to invest in yourself; you deserve it and need it in order to grow a profitable business. Your network marketing company may be great, but network marketing companies don't have real marketing training … that's on you to find elsewhere. Just with any other business, they provide the products, it's up to you to do the rest. I'm gonna tell you how to come up with the extra money, and what some of the best things to invest in are. Here's why I can tell you how to come up with the funds to invest in network marketing. When I joined the industry, I was over $20,000 in debt. Not only did I come up with the funds to invest in a business, I also invested in a training platform to learn how to build that business. Before you say you don't need to, hear me out. Network marketing companies are great at providing the products and the absolute necessities, but they're not very good at teaching you how to build the business. So to come up with the extra money for the tools you need, there's 2 ways. Cutbacks, and making more money. Here's a few things I did to cut back on what I was spending to redirect that into my business. I took a flask to the pub and I stopped eating at restaurants. I even stopped eating meat to save money and mostly ate rice and beans. Now this may sound extreme to some, you don't have to do these same things I did, you can make other cut backs. Ultimately, how bad do you want it? Was it a sacrifice, yes! I knew it was what I needed to do. If you want an average life, do average things; if you want an extraordinary life, you've got to make some crazy changes. You don't have to be as extreme as I was; for me, that was just the tip of the iceberg. The key is to do what you have to do. You may not be in the same situation I was and you may not have to make those crazy cut backs. The second option is to make more money. I mowed lawns, never be too proud to do those things. You can also drive for Uber, there are so many possibilities. How big is your vision? If your vision for who you want to become is big enough, you'll do these things, if it isn't, then you won't. You may want to question whether the entrepreneurial world is really for you. If you don't have this mindset of investing in yourself, you're in the wrong game – just telling it like it is. Now that you've located the extra funds to invest in network marketing, the next thing is, what to invest in? I mentioned that network marketing companies are not good at teaching marketing. 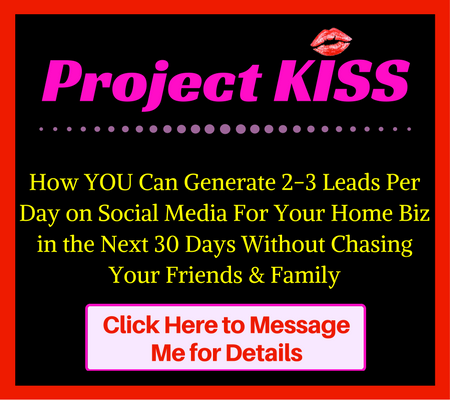 People think they can just smash up a few posts on Instagram and a few posts on Facebook and make a ton of money. If it were that easy, everyone would do it… There's a lot of strategy behind it. To learn these strategies, you need to invest in a training platform that's gonna give you the tools and strategies (eg. blogging, video marketing, attraction marketing) to build your business. These are skill sets that need to be learned, just like you learned your profession in school. If you'd like to check out the same training platform I use that's completely transformed my business, and taken me from struggling in the industry to a 6 figure household name, sought after video marketer and one of the top bloggers in the industry, you can do so here. Regardless of what you invest in, you really need to invest in some key things to move your business forward, especially if you want to build online. The most key are training platforms, courses, books, going to events etc… and of course, an autoresponder. Your investment in your education is key. 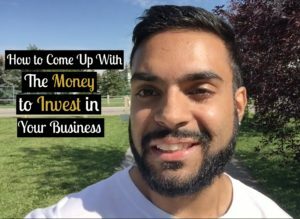 I hope this has given you some insight into how to gather the funds to invest in network marketing, and let me know what changes you're gonna make when it comes to investing in yourself and your business. Do You Really Need an MLM System? Did you get value from this post on How to Get the Funds to Invest in Network Marketing…? If so, I'd really appreciate it if you could leave a comment below and share it with your teams on social media.